The Brussels Beer Tasting Tour will take you all across the city and give you a drink at each stop – what better way to see Belgium? A lot of us get the blues in January. An entire year to wait until next Christmas, the weather is a bit naff and everybody’s joined a gym and ‘gone healthy’ as part of their short-lived New Year’s resolution. To stand apart from the healthier-and-duller-than-thou crowd why not go on a beer tour in Brussels? For £50 per head you’ll get a 3 hour professional tour and free drinks. They have children’s prices but for the life of us we can’t imagine why. Tour groups have a maximum limited of 20 people per party. These tours have a central meeting point in Brussels so it’ll be easy to get under your way. Belgium is the beer capital of the world so you’ll have some of the finest suds available on this tour. It’ll be a real master class and an excellent chance to extend your repertoire. Have a few drinks and do something other than wait for it to stop raining this January. The tour itself takes you around some of the most notable pubs and cafes in Belgium. There’ll be a bit of a history lesson to go along with the tasting so you can appreciate the wares just that little bit more. There will be food on the tour to keep you steady on your feet, and if you book a small group tour then a hotel drop off at the end of the day will see you back home safely. The final stop is at the Grande Place, a beautiful landmark in the heart of Brussels teeming with life even in the colder months. 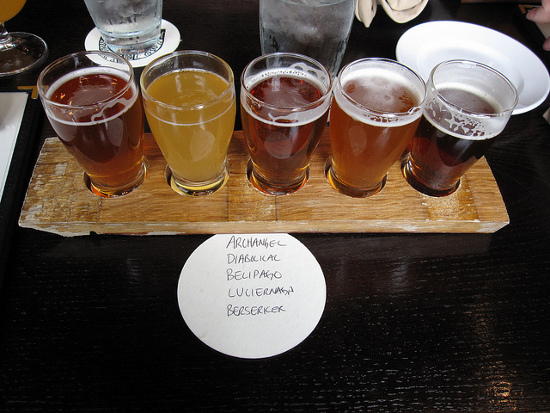 All the well-known ales will be available – if you want to play it safe – as well as the lesser known pale ales. We also insist that you try the Trappist brewed bevvies, they’re favoured on a hot summers day but who’s to say a winter jar by the fire won’t go down well, too? To get to Brussels for an excellent alternative this coming January snag a P&O Ferry over to Belgium you can take your car and fill ‘er up on all your favourites. We know that January isn’t usually a month when people want to leave the house, let alone cross the channel over to Europe. 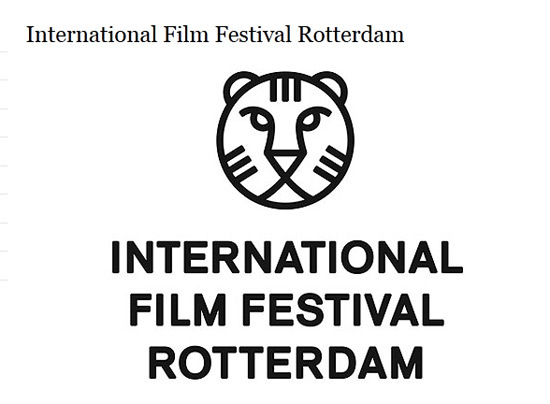 You might want to make an exception for the International Film Festival Rotterdam, however. As befits a city known for its cultural ambitions, the International Film Festival Rotterdam is hosting a huge range of leftfield, emotive productions from all over the world. From 25th January until 5th February, seven venues in the city centre will host the festival, and P&O Ferries can take you there. The main focus of the festival will again lie on the Tiger Awards Competition, which recognizes innovative films made by first-time directors who are likely to become household names in the future. The full line-up will only be announced in January, but the contenders that have been revealed so far promise a fantastic range of talent. There is ‘Return to Burma’, a feature film by Midi Z which was mainly shot (secretly) in Myanmar, one of the most repressed countries in the world. The film deals with a man who comes back to the country of his birth after years of absence and deals with the changes – or lack thereof – which have occurred in that time. There is also a Tiger Award Competition for short films, as well as a Best Young People’s Film and Best Asian Film award, among many more accolades. You can take a look at the festival’s current line up and check out trailers and clips on the official website. To get to Rotterdam for the International Film Festival, you can get a P&O Ferry from Hull over to the Netherlands. Two people leaving on 25th January and returning on the 5th February pay only £238, including a car and bunk. All you considerate souls out there who have already finished your Christmas shopping, and those of you who love a bargain should set aside those Christmas bonuses for the January sales. Shopping in France is a luxury endeavour that you can enjoy a loved one at a knock down price at this time of year. From transport to hotels a trip on to the continent in January 2012 won’t be a bank breaker, and if you get a poor haul on the 25th then why not grab a couple well deserved gifts for yourself. It’ll still be cold and residence for skiing may be competitive, but if shopping is the purpose for your trip then a cosy hotel room near a Parisian market will make for an exceptional romantic getaway. The sales in France’s capital ‘Soldes by Paris!’ run from January 12th to the 15th of February so there’s plenty of time to plan ahead, getting there early in the month is the best way to fight to the front of the queues for some of these deals but we’re sure there will be some excellent items left over if you want to hold out for that all important January pay check. The tourist attractions will also be blessedly free from queues, so wrap up warm and do some wandering around; there’ll still be a bit of Christmas magic left over to keep things special. 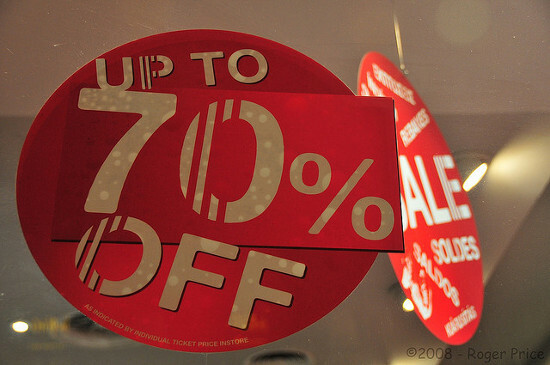 Soldes is the only time of year when shops are allowed to sell goods at a loss, the regulations in Paris let shop slash their prices by up to 40% and with ever changing fashions a lot of shops want to clear out their stock rooms so picking up a bargain will not be too difficult. A P&O Ferry is an excellent budget way to get to France, with the sales you can take a car with you and load up at minimal cost. 2011 is so… well, 2011. We’ve only got a few more weeks left, so you’d best plan your NYE sharpish. The end of the year is the perfect excuse to go on a little break abroad to exorcise the demons of the 12 months gone by. Last week, we recommended Amsterdam, and this week we turn to Rotterdam, the capital’s perpetually underrated rival. In P&O Ferries’ Dutch port city, there will be the usual array of firework displays: at the Erasmus bridge (the bridge connecting the northern and southern halves of the city), the National Firework Show will take place, illuminating the city from the bridge’s great location near the docks. The grain silo-turned-amazing-club Maassilo will host what looks like the most banging NYE party ) in the country. In three floors, techno and house DJs from all over Europe will spin records from 9pm until 8am the next day – with only a short break for an indoor (!) firework display. Fancy dress fan? Then you should check out the zoo party organised by the, you guessed it, Rotterdam Zoo. Presumably due to the somewhat harsh temperatures, the party won’t actually take place in a lion’s cage, but in an abandoned train station. Tickets are a snip at €25, for which price you get live music and DJs in a somewhat leftfield setting. Dress as and party like an animal! Those in the know are already looking forward to the warehouse techno extravaganza being hosted at Pakhuis. A cosy yet feverish atmosphere is guaranteed by the organisers of this bash, who have already managed the wildly successful Pakhuis festival earlier this year. For their NYE party, they have joined forces with other local promoters and record labels for a party involving an art exhibition, special light shows, and of course cutting edge DJ sets. You can check out a mix by the Rotterdam duo Khalil & Steven Pieters here – both will be among the 40-plus artists playing at Pakhuis on 31st December. You can get tickets here. You can get to Rotterdam incredibly easy with P&O Ferries: Just take a ferry from Hull, and you’re on your way to an unforgettable NYE party. We’re a week into December so it’s now officially the festive season whether you like it or not. So what better time to start thinking about New Year’s Eve? For those of you who want to do something special to bring in 2012 a stint overseas with the family or friends could be in order. Amsterdam is renowned for having a good time so you can expect parties of the highest order to celebrate the coming of a new year. From roof top terraces to public squares the city of Amsterdam will be full of good cheer, merry making and all round fun. We should warn you now, accommodation will be filling up fast so we suggest you go with your gut and make your bookings now so you won’t be let down later. As a bit of good news, and perhaps added incentive, New Year’s Day offers free public transport in Amsterdam. So you can party on, spend as much as you like on revelry and not have to worry about the fare home, good eh? That said on New Year’s Eve you’ll have difficulty even using the public transport since it grinds to halt due to the masses of crowds celebrating in the streets. The restaurants, the bars and clubs and streets will all be crammed so plan out what you want to do first and be sure to hold on to your friends tight, lest you get swept away in the crowds and have your voice drowned out by cheers and fireworks. But enough of the warnings New Year’s Eve is all about fun afterall! 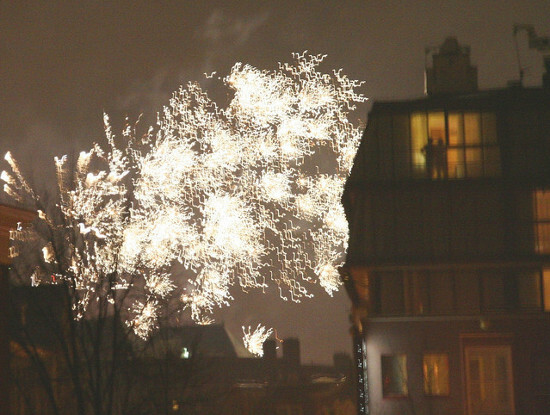 For major mass celebrations you’ll want to crack open a bottle at Leidsplein, Dam Square, Nieumarkt or Rembrandtplein, at these spots there will be city organised firework displays come the close of the countdown live music and oodles and oodles of people to party with. Beer tents are provided for you to stock up and truly make merry. To get to Amsterdam for New Year’s Eve 2011 an P&O Ferry is a great moneysaving way to get to the Netherlands. Everyone likes a getaway, but with flying being as irritating as it is (this goes for both short- and longhaul – whatever happened to travelling in style?) a lot of people are looking for something which involves less hassle. The 2-for-1 minicruises currently on offer at P&O Ferries address this issue perfectly. With trips to Amsterdam, Bruges and Zeebrugge up for grabs, there is a nice variety of European cities with very individual sights and attractions. All cruises include two nights in an en-suite cabin, and a day ashore in the respective city. For inspirations on what to do in Amsterdam, Bruges, Rotterdam and Zeebrugge, you could check out some suggestions here, here and here. Prices start at £72 for Amsterdam and Bruges, and £74 for Zeebrugge. The price covers the ticket for one person, the other person travels for absolutely nothing. All ferries depart from Hull, and most cruises can be extended from two to three nights. 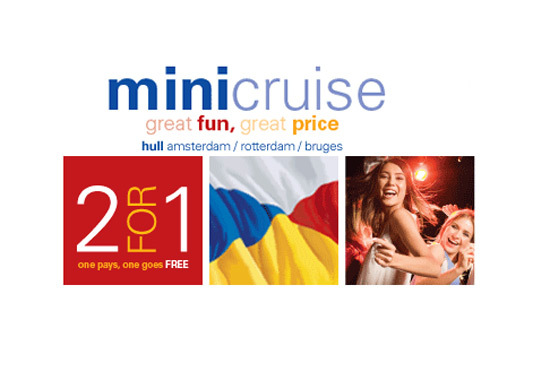 To check out the P&O Ferries minicruise offers, go here. So it’s December 1st already! Since Christmas is fast approaching there’s no time to lose booking some time off and getting yourself away for a midwinter break. There are lots to see in France, but if you’re after a quick jaunt across the Channel and perhaps a weekend or more in France then stay close to the coast and visit Calvados, it has plenty going on this December. 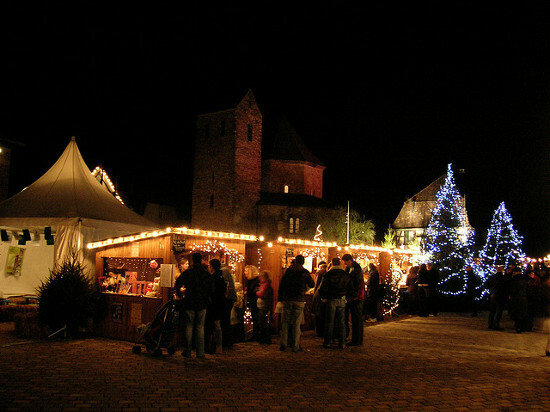 There are, of course, plenty of Christmas Markets on the go this time of year in Lisieux, Saint-Pierre-sur-Dives, Caen and more. Most have already begun and are running through to late December so there’s plenty of bargains to be had and exploring to do. One event we’re interested to see is the annual racing of the Santas on Omaha Beach. This novel event happens on the 18th of December and involves a yacht race of folks dressed in Santa racing along the beaches of the D-Day landings, 2011 marks its fifth year running. Calvados will also have Loisirsland return this year. Loisirsland is a France’s travelling leisure park, it normally sets up for school holidays, lots of fun if you have kids, it can be found in Caen from 22nd-31st of December. Of course there’s lots more to see, Calvados is home to Guillaume le Conquérant Château a huge stage theatre which every December gets festive with a Sleeping Beauty theme. You could also visit the birthplace of William the Conquerer where there will be fireworks the Falaise Christmas Market and various showcases. A trip to France is just a P&O Ferry away, their Dover to Calais service will have you well on your way to Calvados and a December filled with Christmas wonder!